Since the peripheral power cables aren't hard-wired to the power supply, you can connect only the cables you need for your exact configuration of PCI-E cards and storage devices. The rest of the cables stay in the box, and not in your PC's case where they can add to the clutter and interfere with airflow. 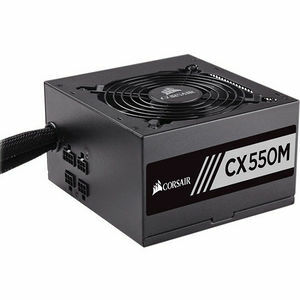 Once you've installed a PSU, you shouldn't have to think about it. Employing a thermally controlled fan makes the CX Series Modular quieter at idle, and the large diameter reduces noise even when you're pushing your system hard.